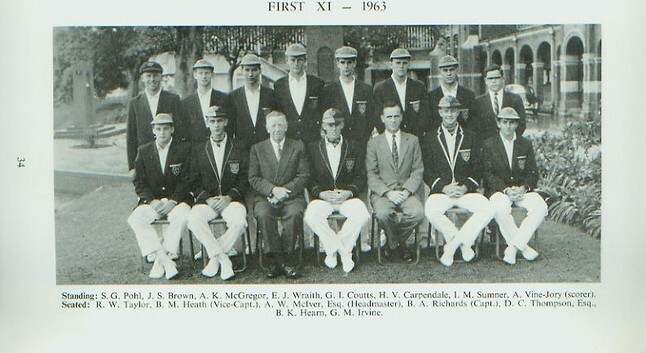 Back: Alistair McGregor, J. Lawrence, Henry Harcombe, Clive Kidger, John "Eddie" Wraith, Peter Polson, Howard Buttery. 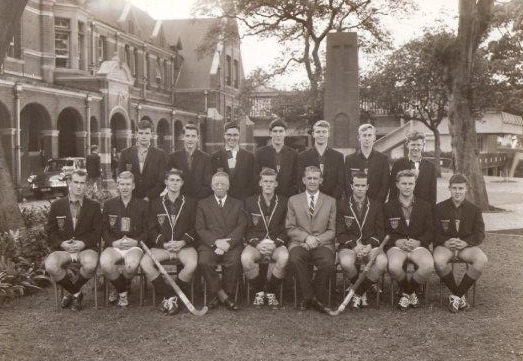 Seated: Brian Ross-Adams, Peter deVilliers, Richard "Box" Taylor, Ian Sumner, Mr. D.G. 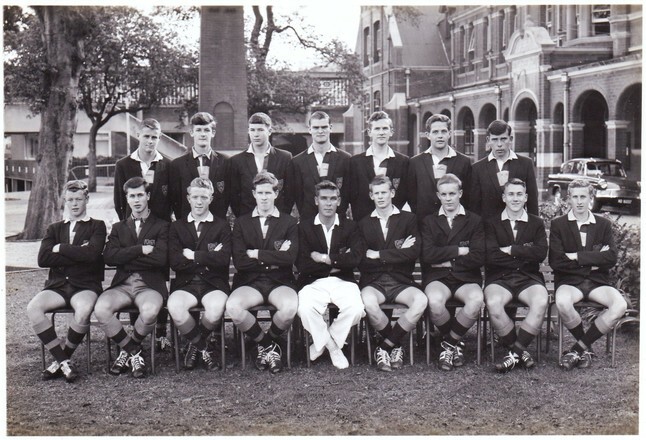 "Sas" Nourse, Sheldon Jones, Bruce Hearn, Harvey van der Merwe, Rob D'Aubrey. 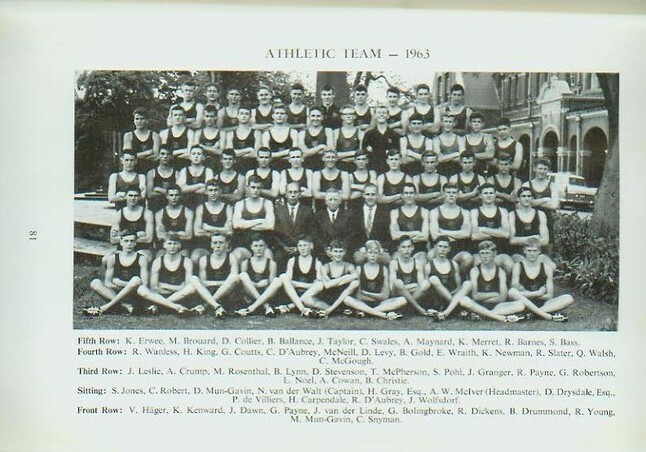 Front: Peter Misselbrook, Don Allaway, Andrew Cowan. Back: ?; ? 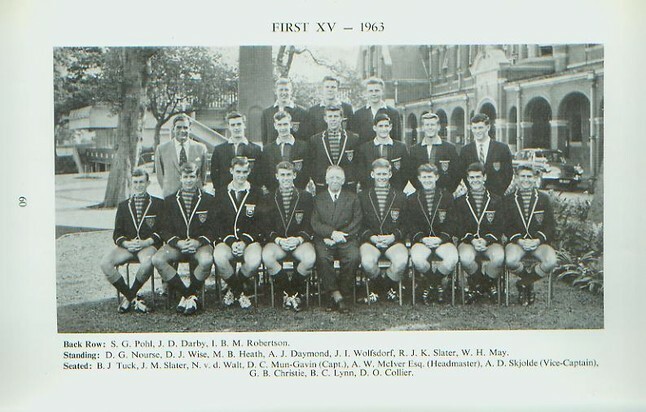 ; Charles Rothon; Brian Craig; Thor Krige; ? ; ?. 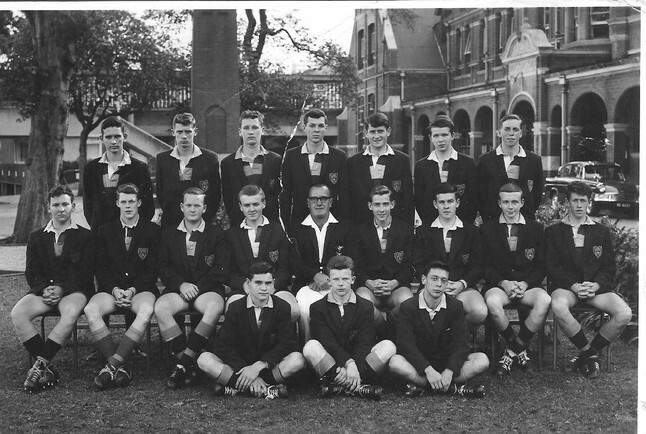 5th XV 1963 - The "Bushwackers"
Standing: ? 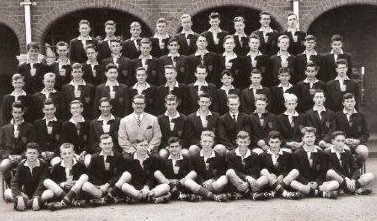 ; Orsmond (?), ? 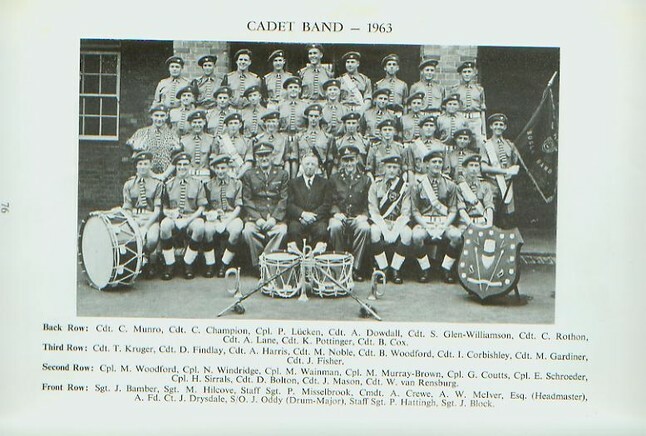 ; Ivor Valdal; Mike MacNab; Peter Whitlock, Richard England. 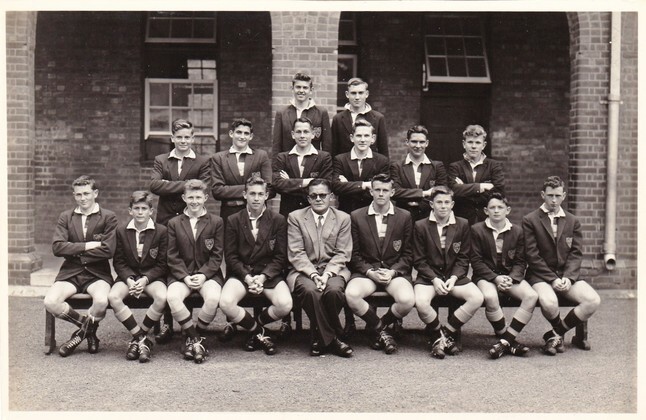 Seated: Ron Millard, Colin Pay, Ian Hampson, Roger Innes, Mr. B. P. Wilson, Ewan Westgate, John Tyson, Arthur Godbeer, Jimmy Doveton. Back: ? ; Jack Lambert, Joe Wolfsdorf; ? ; Thor Krige. 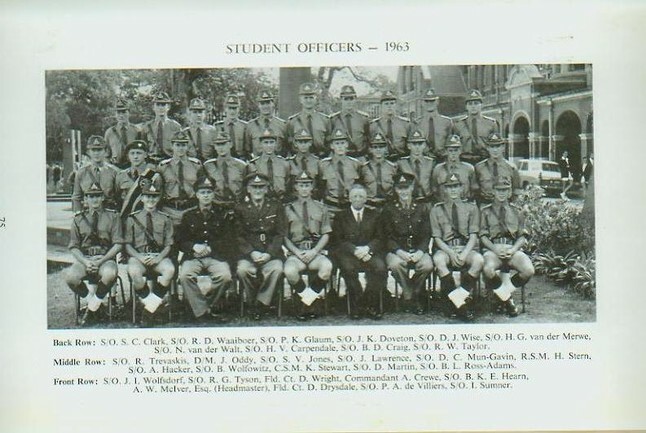 Standing: John Slater, Cecil Miller, ? ; Jonathan Lawrence; Keith Stewart; Rob Lowe; Nick Bryant; Dave Collier. 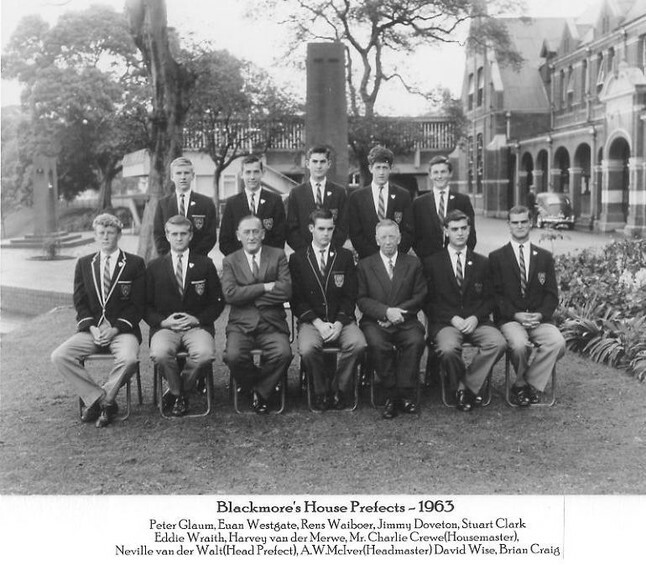 Seated: "Punch" Chapman; Rob Slater; Mervyn Silverman; Mr. Isak van Heerden; Dave Mungavin; Howard Carpendale; ? : Brian Christie; Andre' Kreigler. Friont: Brian Ross-Adams; ? ; Don Allaway; Andrew Cowan. 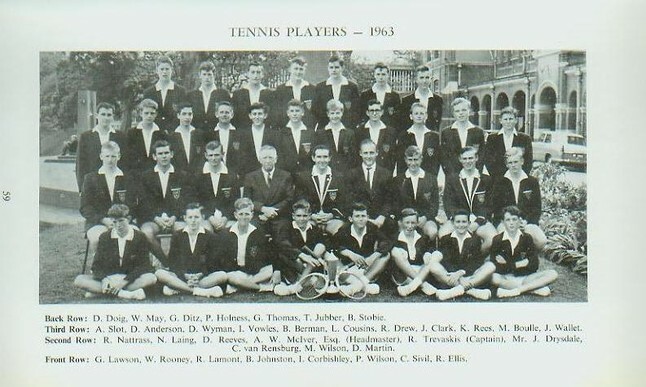 Back: Sheldon Jones; Brian Ross-Adams. 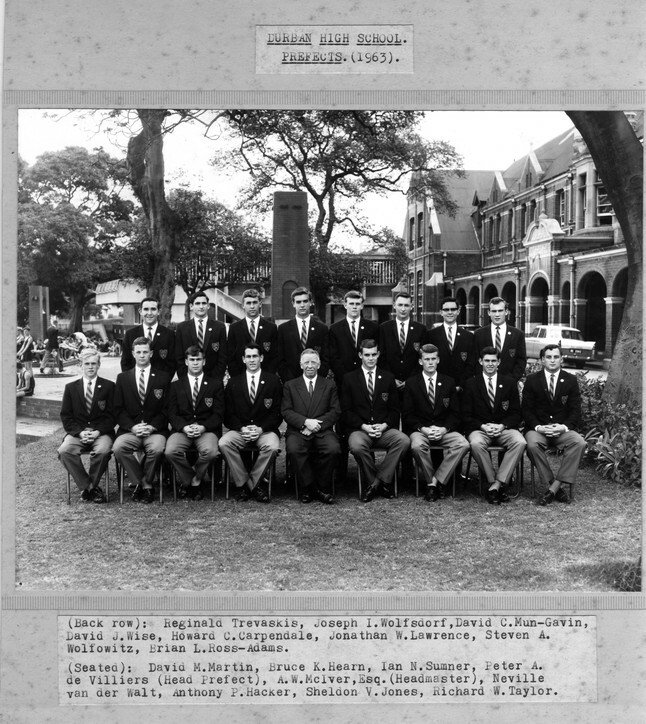 Standing: Jack Lambert; Joe Wolfsdorf; Peter DeVilliers; Thor Krige; Mervyn Silverman; John Darby. 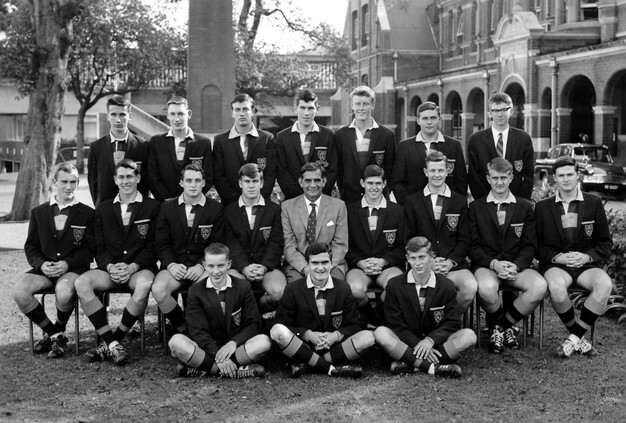 Seated: Chris D'Aubrey; Dave Collier; Brian Christie; Dave Mungavin; Mr. J. M. de W Brandt; Howard Carpendale; Nick Bryant; Rob Lowe; Mike Rosenthal. Record: Won 13, lost 2, drew 1. 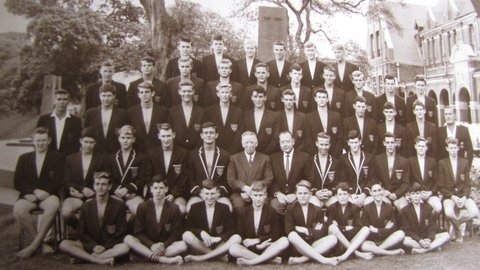 Back: Peter McGregor; Ewan Westgate, Malcolm Hilcove, David Papineau, ?, Mel Glover, Brian Christie.